For years, software engineers designed healthcare technologies for use only on terminal screens and workstations. What those engineers didn’t fully grasp back then was that healthcare delivery is not a sedentary act. Once software companies truly understood this and incorporated physicians and clinical staff into product design, there was a sea change toward better technologies. In particular, the use of mobile apps and devices has shot up over the last few years, to accommodate clinicians on the move, as well as the proliferation of mobile devices within the U.S. Here are 6 ways technology has made a significant impact in healthcare. Reference tools, prescriptions, and medication reconciliation have gone from paper to digital device. Mobile (and often free) technologies give physicians quick access to reference tools such as medication reference guides, treatment protocols, and medical calculators. This information used to be stored in thick reference books scattered throughout the medical office or hospital nursing stations. Mobile reference apps have sped clinician bedside and exam room decision-making by significantly minimizing the need for time-consuming research to find, say, drug-drug interactions or correct dosages. E-prescribing is faster for clinicians and more convenient for patients. Providers submit a prescription to the pharmacy electronically, directly from their mobile device or desktop. By the time the patient arrives at the pharmacy, the medication is usually ready for pickup. And emerging technologies like Meds360 are making it more efficient to perform medication history-taking and reconciliation, particularly in hospital EDs and admission departments. A data feed of actual pharmacy pickups, dosage changes, and refills are presented in a clear interface on the clinician’s mobile device. A quick scan of the screen, which is organized by therapeutic class, is much faster than asking patients to explain what they take; which is often inaccurate and/or incomplete. Used to be when a physician wanted to refer a patient, or get clinical input from a colleague, he or she called the physicians “back line.” Today, there are multiple secure messaging technologies that enable physicians to conduct an informal (“curbside”) consultation with a colleague, use secure IM chat, and refer a patient from within the practice management or hospital system. These advances have eliminated the need for phone calls and phone tag, and have solved the problem of lost notes and phone messages; all communication is tracked and logged automatically. Faxed and emailed patient census data, neither of which are sent to physicians in real-time, are fast being replaced with automated data tracking and alerting systems. These technologies alert physicians when a patient is admitted or discharged, or when they’ve been seen in the emergency department (ED). 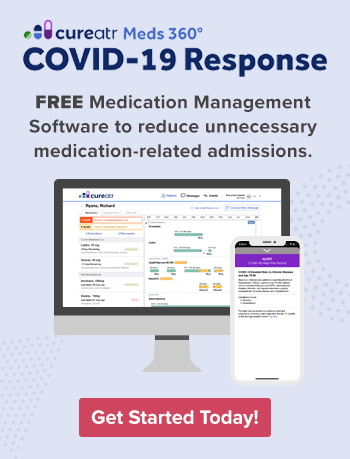 Referred to as “admission, discharge, and transfer (ADT) alerts, they have become a standard communication and quality of care standard in many health systems. Regardless of your opinion about its ease of use, the rise of the electronic health record (EHR) has resulted in an important leap into the future of patient care: It’s created one, unified record that’s accessible from multiple places, on multiple devices, by multiple people. No longer do clinicians or staff hunt down patient charts or paper test and lab results. Nearly all of this data is digitized and available in the patient’s EHR. Further, no longer is this medical data cordoned off for patients. 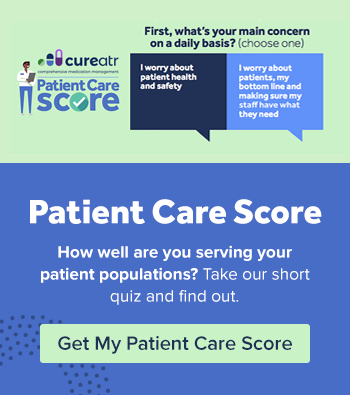 The patient portal - accessible by mobile device as well as the Internet - gives patients and their families access to elements of the record, and enables them to use secure communication to message providers, request information, and schedule appointments. For so long the only way for a sick, elderly, or non-ambulatory post-op patients to be seen by a physician was for them to hobble in or be brought to the hospital or doctor’s office by a family member or caregiver. For many of these patients, making that trip was challenging and inconvenient. Telehealth has enabled physicians and other providers to care for patients using real-time, secure, video technology. The interfaces over the last few years have become easy to use, inexpensive, and delivered on laptops, tablets, and mobile devices. In 2019, CMS will continue expanding the codes and reimbursement for these visits, because it’s become clear that telehealth is a cost effective way to improve quality, efficiency, and patient satisfaction. Online eligibility verification, electronic claim submission, front-end claim scrubbers, electronic remittance, and online appeals have significantly reduced revenue cycle and payment processing times. What used to be an entirely paper-based is now almost entirely digitized. Claim adjudication has been cut from months to days or weeks. And tools such as online appeals and procedure cost estimators have enabled provider billing teams to complete their work much more efficiently.